Our friends over at Cuppow have been really busy lately. Not only have they added more colors to their line-ups of Cuppow drink lids and BNTO jar lunchbox adaptors, they’ve added the most beautifully packaged laundry powder from The Simply Co. to their shop that I’ve ever seen (it comes in a sturdy, reusable 32 ounce jar!). 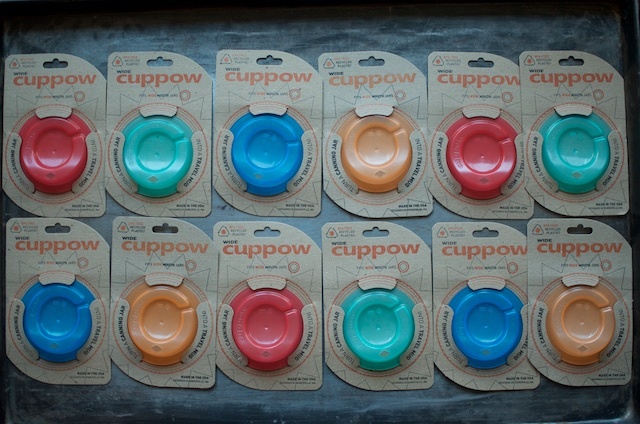 In case you’re unfamiliar with Cuppow, they are the makers of the original mason jar drink lid adaptor and the inventor of the BNTO, which allows you to transform a mason jar into a two-part food storage (great for picnics and snacks on the go). Whenever I know that I’m going to be away from home for most of the day, I tuck some cut fruit into a jar and pop a BNTO in on top and pour some nuts into it. Nothing better to prevent lousy snacking that being prepared! The nice folks at Cuppow just sent me a box of their drink lids and BNTOs so that I can share them with you guys. There will be six winners in this giveaway, and each winner will get a Cuppow lid and BNTO. I’ll do my best to make sure everyone gets their preferred colors, but that sort of thing isn’t always possible. Leave a comment on this post and tell me how you’d put a Cuppow lid or BNTO into action in your life. Comments will close at 11:59 pm eastern time on Saturday, March 5, 2016. A winner will be chosen at random and will be posted to the blog on Sunday, March 6, 2016. Giveaway open to United States and Canadian residents. Void where prohibited. Disclosure: Cuppow is a Food in Jars sponsor and is providing these giveaway units at no cost to me. However, all opinions expressed here are entirely my own. I was just thinking today about how I could use a cuppow to pour small quantities from my half gallon jar. The Cuppow drink lid would be great to throw on a jar to drink my iced coffee (it’s NEVER too cold!). I’d love to use these to take things to work! I already use my Mason jars, but this would make it much more stylish! I would use the Cuppow lid on a mason jar with iced water in it when I’m working in the garden this summer. Perfect for my afternoon iced coffee! To pack in my lunches to take to work. I’d love a BNTO to take cut veggies and dip to work for a snack. Great product! I would love one of these to take my snacks with me when I am away from home. Use a baggy and it isn’t real good for that! Would just love to try one of these!! Both my husband and I take both breakfast and lunch to work – these would certainly help! The bnto would be great for taking yogurt and granola to work! The lid would be perfect for sipping my morning beverage! Since I retired I don’t really carry food around much any more. But I will be packing a lunch to take to my all day watercolor class this Saturday. When I get good I’ll be doing plein air which may also required a sack lunch. So I’m thinking possibly some sort of salad with croutons or nuts in the top. Or a yogurt on the bottom with nuts, fruit or chips on the top. What I saw the other day that really intrigued me was a grommet for a Ball jar lid that had been drilled with a hole. The grommet was to snugly hold the handle of a honey dipper so the Ball jar would contain the honey and the dipper could be inside snugly held by the lid. Kinda ingenious. I pack a lot of lunches – I could send in chips and salsa with a BNTO. A way to keep my ranch dressing separate from my carrot sticks in one jar! Yippee! I take my lunch to work everyday so I’m sure i could find tons of uses and I drink homemade Kombucha everyday and I hate taking that big bottle with me. My husband and I take long rides around our state and always take a lunch with us that we can eat in the car or at any of the beautiful parks we have in our state and the cuppow lids would be great for adding to our lunch pack. I think the BNTO would be great for dressing for my salad! I’d love to try them out with my grandson….we will be be exploring a lot this summer. Ooooh, love those U.S./Canada giveaways. Yogourt and fruit in the jar, homemade granola in the BNTO. Yum! I would use them everywhere…Love this! I would love to use a BNTO to take fruit or veggies to work, and the lid would be perfect for my favorite summertime iced coffee! The colors are great! Besides lunches, I would use them for smarter car snacks. I would love to use these to take veggies and dip to work! So many options! My travel mug recently cracked; it had served me years and years. I would probably start with portable beverages!! The BNTO lid would be great for keeping my granola crunchy until I’m ready to eat my yogurt. I often tote 2 (or more!l jars for my work lunch, one usually has dip. The BNTO would lighten my load for sure! We take picnic lunches out for photography sessions and road trips. These would be wonderful for our salads and drinks! Thanks for the opportunity! I’ve been thinking of trying mason jar lunch variations–I see yummy sounding options on blogs frequently. Having the right tools would help me be successful. The BNTO would be great for taking toppings and dressing for a salad. No more soggy made ahead salad. I would use the BNTO to make a peanut butter and celery snack for my husband’s hour commute home from work to keep him from buying Doritos! I would so salads on the go with dressing in the bnto. lunches to work and school! Well first of all – thanks for doing this (Marisa and Cuppow) and I am unpicky as to colour. I would do more sturdy snacking as I’m a week out from a high school musical (Fiddler on the Roof) going up and I’m technical director. As my teaching day plus rehearsal runs late, dinner type snacks with salad etc. sounds lovely! I’d use the lid to take ice water with me in the car. The BNTO would be perfect for packing snacks along for my daughter. I always try to throw something together for her when we’re out on errands. I’ve been wanting a Cuppow for ages! Just haven’t wanted to spend the $ on it! So this would be great! I’m working on my “drink more water” habit and bringing fruit infused waters to work. The cuppow would be great to pour into a cup from my larger jars. Great giveaway–thanks! 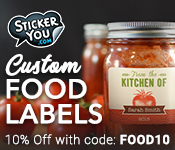 I think I would use these for salad dressing or add ins for my salad or yogurt at work! Spring and Summer are about iced coffee and salads galore for me! A set of BNTO and Cuppow lids would be great additions to my breakfast + lunch packing plans. I love using mason jars for food storage, and this would just increase the possibilities for me. Perfect for my lunches at work! Lunches! Veggies with dip, apples with peanut butter, salad with dressing, yogurt with not soggy granola…. I would have no trouble putting this product line to work for me! I pack my dinner for work each day so they would get plenty of use. I’d use both the Cuppow and BNTO lids for lunch/snacks on the go for my 16 month old toddler. I love being able to use glass for him whenever I can, not a big fan of plastic containers. Oh my god–the COLORS! I’m completely in love, and will definitely buy these if I don’t win! I am currently packing a picnic lunch for my kids. The lid and the adaptor would be so helpful right now. I would use it to bring snacks and salads to work. As a career woman, having the ability to pack greek yogurt and fresh fruit would save me a ton of money (and inches in my waist!) since I wouldn’t be grabbing drive-through breakfasts! I would use the BNTO for putting crunchy foods so they don’t get soggy in my travel mason jar filled iwth yogurt or salad. Great to include as a party favor at birthday parties! I don’t have one but I like the idea of using it for a salad in a jar and keeping the dressing separate. I would love to use this with granola when I take my homemade yogurt to work! I always bring a separate jar so the granola stays crunchy, this would be a wonderful spacesaver! I have a set of four Mason jars with handles that I would love to put to better use this spring and summer. I also take snacks on errands so I don’t make unhealthy choices. Cuppow lids are clever. The BNTO would be great for veggies and dip…thanks! I’d use the BNTO for yogurt and granola on top! Love the ideas! I’m like Darla – I purchased 12 jars with handles, but when I got home & read the label, I realized they cannot be used in a waterbath. These lids would certainly put them to good use. I always feel like I bring too many containers of lunch stuff to work. I would love to eliminate one by using the BNTO for dips or dressings. I would probably use the BNTO for salads/salad dressing, or veggies/dip in my lunch bucket. The BNTO would be great for combining snacks for myself and my 3yo without needing a separate container. I would eliminate 1-2 plastic containers from our cupboard as we make the switch to glass. These would be great in lunches and as we run errands. I love these! I have to travel a lot for work & these are a great way to keep healthy portioned controlled snacks! BNTO would be great for all those jars I have to put snacks in! For dips! Like pb with carrots, etc. I have celiac disease and eating while out and about is a pain. I like your idea of fruit and nuts! Or fruit and a yogurt dip. Or salad with separate dressing. I use my Cuppow wide-mouth lids ALL THE TIME at work and since I’ve joined a gym, I take my jar with me there, too. I get some funny looks, but I prefer to thing they’re just jealous! Working two jobs with two different schedules, packing lunches and snacks is essential! What a great way to recycle and stay organized! Lunches Every day (ie…snacking) You are right about lousy snacking habits when you have nothing prepared. Too many sugary snacks are right there in my hands when I get hungry. 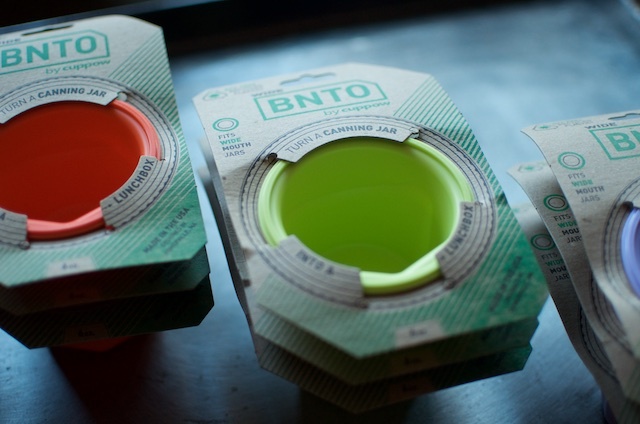 I love the idea of the BNTO lids! I’d use them for salads – put the dressing on top and the salad greens underneath, instead of carrying it separate like I normally do. Yoghurt and granola in my husband’s lunch and carrying around snacks for my daughter! These would be great for snacks with dip! So many ways. I’m thinking apples and almond butter to start. The BNTO has so many uses, my brain is tumbling over itself trying to get them out: salad/dressing,yogurt/fruit, dip/crackers or fruit or veggies, oatmeal/milk, soup/crackers, yogurt/granola, peanut butter/jelly, peanut butter/pretzels and on and on. The drinking lid is good for my homemade iced coffees and teas in the summer, and are great to carry around while I garden. I rapidly moved away from plastic storage so anything that makes a canning jar more versatile is welcome in my house! Yogurt and granola or cut up fruit, veggies with hummus, pretzels with cream cheese, so many things. I think this would help me feel good about getting rid of some of the unwanted plastic in my house. I am currently going through my stuff and it would be great to have more things that can pull double duty. Thanks for the great giveaway! Several times month finds me helping with Red Cross blood mobiles using the Cup-Pow for healthy snacks would be handy.. I would use the cuppow lid for smoothies! This would be great for when I am on the road. I could pack granola and yogurt or veggies and dip. I have a significant commute (2+ hours each way, in a mix of driving and shuttle options). I would use it for some nuts and healthy snack options when I am on the road. Would be great! Definitely for lunches. Keeping the salad parts seperate. Or for taking soup and keeping the croutons crispy. I’d love to win one of these sets! I currently take my salad in one jar, my toppings and dressing in another jar, and some nuts to add in in yet another container. I’d love to thin this down a little bit! I look like a bag lady going to work every morning with my purse, briefcase, shoebag, and gigantic lunch bag! I would use it for making salads and dressings in a jar. Looks like a great product for all kinds of uses. Wonderful way to keep foods separated until you want to mix them, like at a potluck. Or, even in your cupboards. Would love to win. What a great idea! I would use the bento to eat healthy & homemade breakfast/lunch combos: soup in bottom, crackers on top, salad&dressing, yogurt & granola……. Cuppow: iced tea during the summer. Only water goes in my bottles so I use jars for tea and juice on the go. It would might dispense salad dressing, tahini sauce and cashew sauce much neater than pouring from the regular mouth. BNTO: Hummus and carrots or carrot dip and cucumbers would be first. i like the fruit and nuts combo too. the BNTO would be perfect for bean dip and veggie lunches. These I would use to make sure we always have good snacks on hand for my toddler, apple slices and crackers! I’d use the bnto for dressing or pita chips to go with my jar salads for work! I would tuck the jars into my diaper bag for snacking while out and about with the baby! I’m pregnant at the moment, so healthy snacking is a must! I love your idea for fruit and nuts (or maybe granola) with the BNTO. I have six kids. With spring just around the corner I’m confident we’ll be frequenting the park for the fresh air, and to put it diplomatically, help keep my house….tidy. So I’m confident jar accessories would make going green look even prettier. We do live in Oregon after all…..
Definitely apples and peanut butter or celery and peanut butter for lunch! I am fascinated by those BNTO tops. I see future salads and salad dressing! YUm! BTNO will be used for snacks like granola and yogurt, chips and salsa, veggies and dip. The Cuppow will be used for summer drinks and vinaigrettes. I would like both red please! I love to put soup in a mason jar with my crackers into the binto. I would love to separate my snacks from my kids’ snacks in a jar with the bnto. These would be perfect to make my sad desk lunches more colorful. I would use them to help make lunch time routine easier. I’m a compulsive snacker. I do pretty well, keeping dried fruit in my desk and sticking with that where possible, but sometimes that just isn’t enough. I think I’d use it for yogurt and granola (to keep the granola crunchy)! The BNTO cups look awesome. I’d use it for hummus and veggies! These would be great for packing lunch! I’m a nurse, so we don’t get actual meals at work. Packing healthy foods to snack on throughout the day is what keeps me sane and satisfied. Fruit/yogurt, veg/hummus, soup/oyster crackers…I could go on and on! Cuppow would make a good spill resistant bedside drink container. Looks handy for yogurt and granola or guacamole and veggies. I’d love a BNTO to pack salads for lunch! I run a farm that provides physical therapy sessions via horses and riding. It is a busy and sometimes really dirty environment. I would use the BNTO to keep my food protected in a reuseable jar. I really like this idea! 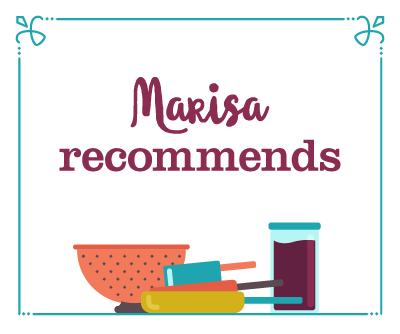 I could see so many uses – hummus and veggies, oatmeal and toppings, cottage cheese and fruit, salad with dressing…. those would be so helpful and handy! Thank you for the chance to win! We have a couple Cuppowscand LOVE them. Problem is, we don’t have enough and can’t ever find them when we need them. Needless to say, some more would be great! Hope I win! I imagine the BNTO would work for keeping yogurt separate from granola for my breakfast at my desk. Great for taking to lectures at college; having snack and drink or whatever in one container would be a great convenience. Honey Greek yogurt in the bottom and maple pecan granola in the BNTO. Yes, please. Salads, cereal, soup, veggies, fruit, you name it! I’d take it with me to the gym, perfect for an after workout snack and hydration! I would pack apple slices with almond butter for a snack. I would use them for lunch for sure – such a great idea! These would be perfect at work. I love using mason jars for my meals and snacks. Love the BNTO idea – would be great for packing snacks for outdoor concerts this summer! Yogurt & granola to take with me to work in the morning. My man works nights (shoutout to Dr Thunder Karaoke!) and doesn’t always have time to eat before he runs off to work, where they’re usually serving not exactly healthy bar food. I’ll sometimes send him off with soup or other leftovers, but a BNTO would be great for storing one of his fave snacks — carrots and hummus! I take my lunch almost every day in a mason jar and the bnto lid would save me from having to pack croutons, nuts or cheese in a separate container. Currently doing everything I can to lose some weight and change my eating habits. While we have been easily transitioning into what we cook at home or buy for snacks, I’ve been surprised at how little I have in the way of smart storage! 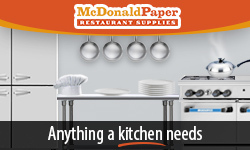 This would help a ton in helping me portion and take items to work! This would be perfect to carry my daughter’s lunch or snacks when out ? I would use for snacks and dressing. Something to make my eating easier and healthier! Yayyy! Even if I don’t win one I think one of these is on my to buy list. I use Mason jars for everything, both at home and on the go. These would definitely make packing snacks and drinking smoothies easier. For the Hubbie’s lunch! Chips and salsa. Peanut butter and apple slices. And coffee to go for me. We haven’t eaten a single meal “out” in over 6 years, these would make packing lunches, drinks and snacks, so much easier! Mason jars are king in our house, from canning, drinking, packing foods and even baking desserts. This would make life a little more simple, for us! would love a cuppow for the days I’m running late and have to grab my breakfast to go, but can’t get the lid off my stupid, leaky, hand wash only go cup (um, yesterday) and a bnto for lunches – hummus and carrots, apples and peanut butter, yogurt and granola…..I can never find the right plastic lid, but I’ve always got mason jars. I would use for salads to take to work for healthy eating and saving money. The bnto would be perfect for the many road trips I take during the warmer months! I would load the jar with veggies like celery and carrots and then the bnto would get hummus or PB. I think my husband would love one with greek yogurt and granola too! I’d use the lid during the summer for drinking iced coffee and I’d use the BNTO for carrying salads to work. Chips and dip! No more soggy chips! Lunches for me and my family. Cannot wait! I like crunchies in my soups (nuts, croutons, scallions, etc.) and would definitely use the BNTO for that. Also, I work in an office that has jars instead of drinking glasses so the cuppow would get daily use. Sounds great for snacks and lunch for park trips with the kids. these would greatly reduce the amount of jars i bring to work for lunch and snacks. Even if I don’t win, I think I’m going to have get some. My husband and I both have health issues that require us to be careful what we eat. Make leaving home challenging some times and how to pack everything is always a puzzle. These Cuppow lids and BNTO adapters would work wonderful for us. Thanks for the chance. I love all things mason jar. I would use it for my kiddo. Apple and peanut butter are his faves right now. Each member of my family would be setting a beautiful example everywhere we go with our healthy BNTO snacks jars and Cuppow jars full of delicious homemade drinks. Our Canadian town is too remote to have a community recycle center (yet), so it’s up to us residents to get creative about solutions instead. This Cuppow/BNTO package would make a bold statement on how to reuse! 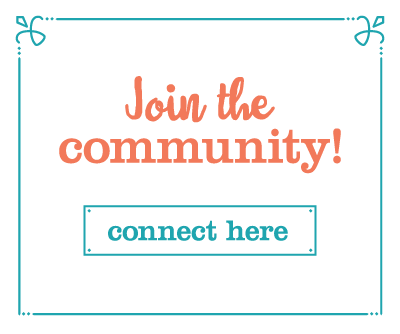 I teach canning classes in Vancouver and always refer to your blog! I’m a big fan of using mason jars for all storage needs and I promote this heavily in my classes and support products that help our environment. 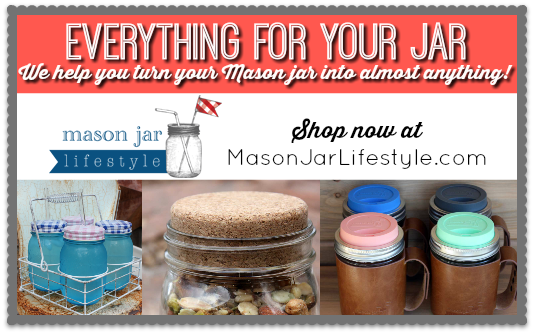 From single serving baked cakes, smoothies, toothbrush holder, pendant lights and of course preserving, mason jars are the ultimate versatile vessel! I always receive compliments and queries on where I purchase my mason jar accessories so this would be a great addition! Haven’t been able to find a BNTO here in a store yet so would love to try it out, I envision it being perfect to separate salad dressing, dips and crunchy bits. Even a two layered snack would be amazing, that is why I love my Goodbyns too! I work 12 hour shifts so I would use it for snacks, snacks and snacks. I’d put chickpeas and diced celery in the jar and a dressing made of lemon juice, olive oil & parsley in the BNTO. A perfect mid-afternoon snack! I drink water out of quart mason jars and I would LOVE another Cuppow lid so I don’t have to handwash mine every morning. I would do a much better job at staying hydrated if I could carry a mason jar and Cuppow lid with me…I feel so guilty about using disposables that I often skip drinking enough, much to my detriment. We (2 adults, 3 kids) love our cuppow lids and use jars for food transport often- a bento top would be super handy!!! I’d use to tote snacks and drinks for the littles! Thanks for opening giveaways to us Canucks! ? I am newly pregnant and I would put the cuppow into use immediately for bringing healthy snacks to work in a convenient container! Woot! One that’s open to Canadians! I would use the BNTO for trips to the park with my daughter, and the Cuppow for carrying cool drinks with me during the summer, since I already have a sturdy metal thermos that’s great with coffee. I would give them to some members of my moms group, Holistic Moms Network. They would come up with some great uses, like kids snacks on the go and first dippy cups. I’d use the lid for my new fermentation projects of water kefir! The BNTO I’d use to bring salads to work in a quart jar. I would use BNTO caps for snacks or to keep salad dressing separate from the salad. All my drinks go in Mason jars, so…these work great for that! Also…all healthy snacks. I’m making an effort to drink more of my good homemade teas and drinks. Not sure what I’d use the BNTO for but it sounds interesting. I love the BNTO for holding dressing and other wet ingredients to my lunch salads. You can’t have too many! Cuppow lids are awesome for cold drinks in the car and at work. Snacks – like sliced, raw bell peppers and hummus! As you mentioned this would be great to avoid eating lousy things in my day at work. I’d use it to bring nutritious foods to work with me instead! I make and deliver dinner to my 92 year old aunt who lives alone. This would be a great vessel to transport her meals in. I’m a yoga teacher and have a lot of classes. I’d love to have a bnto to organize snacks. It be a great way to help keep me going! I drink water out of a pint and a half jar everyday. I would love to try a cuppow lid to try! Thanks for a great giveaway. I have used the cuppow and would be stoked to try the BNTO. I would fill them with snacks for me and my little one as we’re out and about. I’d love the BNTO to take on the road while I’m busy running errands, or just to prepare the night before for a snack at home. What a neat idea!! I bring my lemon ginger tea in a mason jar to work each morning. the Cuppow would allow me to drink away without as much heat escaping! The BNTO is such a cool idea- I’d use that for oatmeal or yogurt and put toppings in the top portion until I’m ready to eat it so they don’t get soggy. I’ll be starting a new job in a couple of weeks. I’d love to have a cuppow lid or bnto divider to get me into the habit of healthy snacking/tea drinking right off the bat! Another great giveaway! I’d use the BNTO adapter to take snacks with me when I’m out and about. Granola to top some yogurt or hummus for carrots…yum! Definitely trying to be good about packing lunches right now, so these would be a boon! In the BNTO I’d put my homemade granola, with diced fruit & plain yogurt in the bottom of the glass jar. That’s one of my absolute favorite breakfasts. I’m trying to eat more healthier lunch options and taking my lunch to work every day is the only option. I just found out about DIY Instant Noodles from Serious Eats and I’ve always loved Salad in a Jar, so these Cuppow items would be absolutely perfect for me! Trying to eat healthier yet still fulfilling lunches! I love both the lids and the BNTO’s! The BNTO’s allow me to send a healthy lunch for my wife, greens on the bottom and the separated cup lets me portion out her dressing in a cost effective way, no wasted plastics from the throw away salad dressing packets! In the morning, I make and bring a green smoothie to work for breakfast. In the afternoon, I am a courier and in the car for several hours so I bring lemon water. That’s how I would use the lids. I’d use the BNTO to pack my current favorite snack, carrot sticks with spicy mayo dip. The Cuppow I’d probably use for coffee. I take my lunch to work every day, and I’m also always trying to drink more water. The Cuppow And Bnto adapters would be great for work! I love my Cuppow lid, which I use to keep a mason jar of water at hand. I bought it based on your recommendation, and I love it. I’d love to try the BNTO to carry baby carots and hummus! Wonderful to pack yogurt with granola for lunch! Thank you for sharing! I love my Cuppow lids for drinks. Could always use more for other family members. Have wanted to try the BNTO for hummus or nut butters for snacks so I could get rid of more plastic. Gonna need a give away of jars soon! Thx for all your inspiration! I often take cut up veg or fruit with a dip to work, and it’s a pain having the dip container rolling around in my bag threatening to open. So the Bnto would be really, really useful. The lid would be great because my cat likes to take drinks out of any unattended water glasses, and having cat-proof containers is a plus. I’ve been experimenting with making my own “cup o’ noodles” for one of my work sites where I have minimal access to the microwave, but I’ve got free access to a hot water dispenser. I’ve been making noodles ahead of time, draining them and putting them in a ceramic container. Then in separate small containers, I make a dry “flavor packet” of dried shallots, minced green onion, and whatever else, another wet “flavor packet” with chicken base or miso paste, soy sauce, a smidge of rice wine vinegar and whatever else, and a third with a soft-boiled egg. I keep it all in the fridge until it’s time for lunch. The BNTO would give me a place for some of that stuff inside the jar – a plus, given that everything I carry for work goes in a backpack for riding the bus. I’m starting to make my own yogurt. The bnto is a great way to travel, granola in the bnto, yogurt in the jar. Trying really hard to pack lunches and snack rather then getting to-go. Better eating and way less expensive! These are perfect solutions to long car commutes in traffic. I’m always starving and unprepared! SNACKS!!! Hummus in the BNTO cup, pretzels in the jar. Salsa in the BNTO, tortilla chips in the jar. great to send with hubbies lunches, he likes me to make veggie soup a lot for him. I would use them in place of canning lids to store left overs in jars. The travel mugs are the least favorite thing to wash in my house. A lid would get a ton of use! I’d use it for veggies and hummus… although I love the fruit and nuts idea too! I would use them to send lunch with my husband. Veggies and hummus or berries and yogurt. I desperately need to lose the baby weight from my last pregnancy. I’d love to use these to bring good, filling snacks to work with me. I can peaches in the summer, to eat with fruit and yogurt in the winter. I’d use the BNTO for granola and nuts. Perfect for workday lunches! I am always on the go, but I am determined to still eat home made and healthy. I would use the BNTO for granola and yogurt, or salads and dressing, or soup and croutons. Lots of uses! Great for traveling with all kinds of snacks. I have always wanted to try both of these! The cuppow lid would be great to use for my homemade energy drink and the BNTO would be used for snacks to be shared at our upcoming baseball games!! These would be awesome for me!. I am immunosuppressed and have to bring my own food and drink every time I leave my home. These are great for my three year old! This time of year I have to travel a lot with limited food options so I’m packing two or three meals for myself and my husband. So granola for breakfast with yogurt, dressing for a salad for lunch, salsa to go over a corn and bean salad at dinner would all be a perfect way to use a BNTO cup. And I’d happily take a large tea in a pint and a half jar topped with a Cuppow lid with me for those early predawn travel times! We pack my diabetic husbands lunch as often as we are able–these jar accessories would offer lots of healthy combination options! Great for all kind of snacks on the go as well as packing them for lunch. I have to travel a lot for work. I pack all my own food, so I don’t eat unhealthy on the road. These would come in handy for packing different salads or beans and salsa. I have teens that struggle with being prepared. This seems like a great way to get fresh food into their bags! As the kids are getting older & more mindful with their things, they want in on the jar for transporting this morning smoothies on the way to school. Thanks for sharing! It would be so much fun to use a BNTO adaptor on a picnic. Only a couple months away! I would love to put the BNTO to use for lunches and on the go snacks for the kids and I. The lid would be great for on the go hot and iced coffees! I’m thinking veggies and dip for the BNTO. Also, I need to drink more water in a day, yet psychologically, I don’t get excited by carting around and drinking out of a glass for some reason. I think a nice mason jar with a cuppow might do the trick! Snacks on the go and ranch to dip veggies in hubby’s lunchbox. Plus I’m almost never without a mason jar of water. I like everyone else would utilize this for work breakfast and lunch. I work 12 hour days and am always struggling with finding easier ways to eat healthy, and storage devices like this make my life easier. Thanks for the opportunity! I would use these to take salads and dressing to work. Hummus in the BNTO with carrots and celery in the bottom for an easily transported snack. I’d actually pass these along to a friend who is big on using mason jars for food transport. It’s not as big of a deal for me since I work at home but she does not. I would rock the Jr High my daughter goes to by adding this to her lunch box. the kids would go nuts!!!! I’d use them a lot to take my hot drinks or veggies & dip/hummus to the office. It sounds crazy, but I love left over dinner meat (steak, roast) dipped into peanut butter and mustard. So, beef in the bottom. A dollop of peanut butter and a squirt of mustard in the BNTO. With a fork I’m ready for lunch! Lately I have been bringing cheese and crackers and nuts for snack/lunch at work. The BNTO would be perfect to keep them from getting mixed up! Thank you for the chance at the giveaway. I pack my lunch every day and the BNTO and lids would be an awesome addition. Every time I stop at the convenience store and I see the sliced fruit packs, cheese and nuts in a plastic cup, I wish I had a few sets to make my own combos! Like others, I pack my lunch everyday so I think these would help! I would pack a snack or lunch to have on a trip to the mountains. I have been away from them for too long! I would use these for mason jar lunches! As I am expecting Baby #5 in a month, both would be put to good use in protecting my snacks and drinks from being spilled by overly-eager older siblings. I’d use it to separate out the parts of my mason jar salads. My oldest daughter has just begun the frugal grad student life. She has a small studio apartment, rides the bus to class, and packs lunch or a snack. She’s striving to eat well on a small budget. I would surprise her with the Cuppow and the BNTO so she could make some great take-away food! The kids and I would use this for snacks away from home: veggies + hummus, sunbutter + raw crackers – so much healthier when snacking on the run! Most definitely use it to store my paracord on the bottom and clips on the top. This way I can take my paracord bracelet making with me wherever I go! I love the BNTO! I put yogurt/berries in the bottom of a mason jar, and the fill the BNTO with granola and nest it on top. I’ve also used it for hummus, dips, dressings and snacky things I want to keep separate (or portion-controlled). I love making “adult lunchables” for lunch! I am new in the Food-in-Jars Trend. 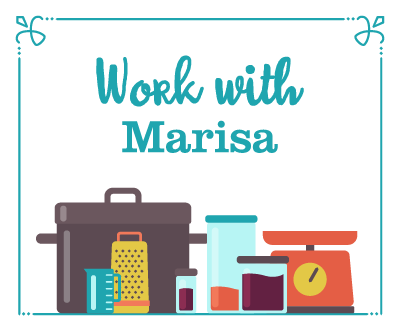 I pack my lunches daily, but have been trying to find new ways and new foods, that is how I stumbled onto your site. 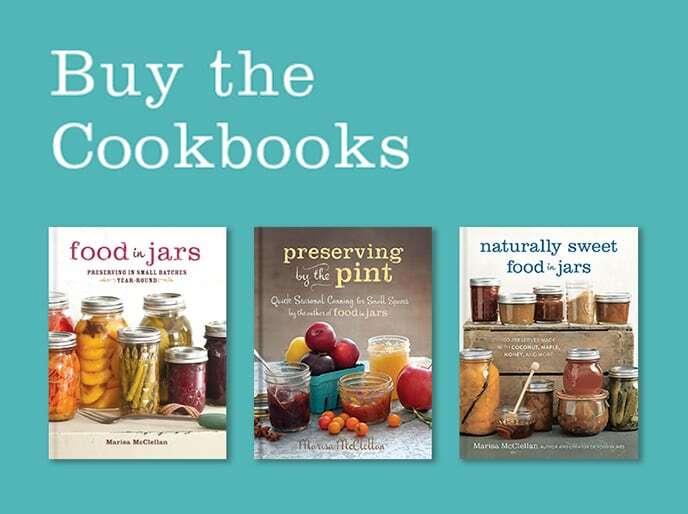 I would love to have these to help me in learning the best way to do my lunches in Jars. I would gift them to my co-worker for his wedding! He brings his lunch in mason jars and would put them to great use! I love these lids. I have been looking for ways to reuse my mason jars and get rid of toxic plastic in my families lives. I would use these for salad in a jars. Perfect. Once a week we travel and need to eat dinner in the car. I would use these (especially the BNTO) to make that easier and healthier. I would love to try these products for packing lunches. I’m a huge fan of salads in a jar and it would be so much easier to have it all prepared and ready to grab and go. Thank you for this chance. Well, the cuppow I would use every morning to drink coffee. The BNTO however, would probably get used for soups (crunchy toppings are a must) or salads. I would put yogurt on the bottom and granola or nuts on the top for a healthy snack or lunch. I’d also experiment with more mason jar salads. Salad. With dressing. Not soggy by lunch! Carrots in the bottom and hummus in the top. So fun. Thanks! I like your idea. I would probably use the cuppow to separate fruit from dry snacks. The lid would be great for drinking tea that I’ve made at home, and brought to work. The BNTO would do beautifully for homemade yogurt and granola! I’d use the cuppow to keep wood chips out of my coffee–I’m a woodworker :). I’d probably use the BNTO as a great gift for my sister. I’ve just started making my own yogurt, these would be great for helping me to utilize the jars better. I’ve always wanted to try the BNTOs. So many uses for the BNTO, dressing for salads, seasonings for soup mix, granola for yogurt, fruit to top cottage cheese, add in for oatmeal….oh imagine the possibilities. I’m in grad school and am sometimes on campus for 10-12 hours so I’d use them to bring snacks to school! These are great! Thr first time I’ve seen them is on your blog. I would use them to pack my husbands lunch for work. I would totally use this for apples + nut butter. My favorite snack, easier to take with me! Cuppow’s are awesome! I would share the love! For my yogurt and granola breakfast. I do not like soggy granola! Mmmmmm….. salad with carrot, avocado and rice – in the BNTO there resides a lemon garlic tahini dressing – yum! I love making Mason Jar layered salads to take to work. The BNTO would be a great way to take along croutons and keep them crunchy. My husband keeps breaking the reusable drink cups he buys. I think a cuppow in a mason jar might actually survive his bull-in-a-china-shop antics. As for me, a BNTO would come in very handy as I try to pack a lunch to work every day. Hummus and veggies in warmer weather, soup and fresh greens in cool weather. I like to chiffonade collards or chard and put them in the bottom of my soup bowl, then add hot soup — that way the greens are bright and just barely cooked, not olive drab and sad. I love to use my Cuppow lid and would love a second one while I’m washing the other one. The BNTO would be perfect for lunchtime. I would like to have it for work lunches. Take them every day. I am not sure if I would use them or give them to my husband. He has to pack a lunch everyday for work and the BNTO would give him a lot of options. But on the other hand, playdates and picnics at the park with our homeschool group will be coming soon. Alright, I have decided, they will me for me! Yogurt and granola! I love eating yogurt out of jars at work, and Bento would make it easier! I would definitely use these to pack my guy’s lunch! My first thought was yogurt with my home made granola in the BNTO. There are lots of ways to use it. Great product. We’d use the BNTOs to make Sunday snacks- my husband and I are both pastors, and so it means we meet each other coming and going on Sundays before dinner. Cuppow lids are coffee lids at our house- we’ve discovered that the coozies we received at family weddings over the years make perfect holders for wide mouth pint jars, which have become our favorite travel mugs. I’ve been meaning to take healthy snacks to work, and aBNTO would let me use some of my jars to do just that. I’m trying to pack my lunch every day, and this would be great for snacks, or yogurt and granola! I could really see using this often! I’d use the bnto to hold granola for my yogurt, it looks perfect for that! It would allow me to take a greater variety of food to work. I always end up with multiple containers in limited space… which is pretty annoying, to be honest! I would use them both for snacks with my son and work lunches. Hummus? My husband travels from place to place all day, so I would use it to encourage him to pack healthy snacks and lunches for the day. I would use it for lunch salads and yogurt! I have so many mason jars and with my daughter being a college student she could use these to pack her lunch and snacks in as well as a mason jar water bottle. Great idea! Thank you so much for the opportunity? 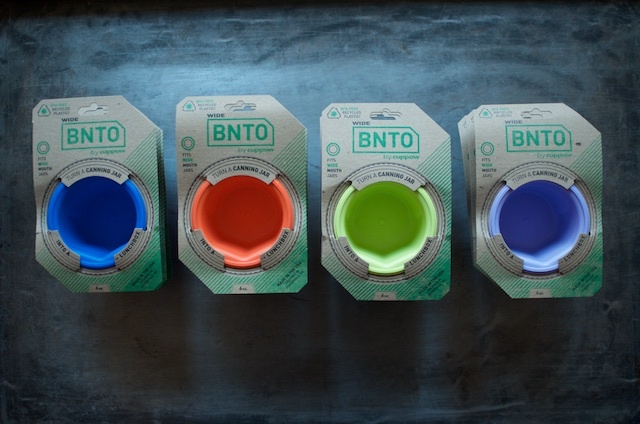 I would use the BNTO cups to help with packing my lunch to work. The bnto would be great for packing snacks and lunches too, I wouldn’t have to bring a separate qtr pint for whatever that would go into it! Yay for streamlining. Adult Lunchables! And my water “cup” at work needs a lid. Before anything BAD happens. I’d use the lids for my morning tea. Drinking it from a mason jar while driving is impossible! I make a LOT of cold brewed green tea in mason jars. With the Cuppow, I can bring those jars strait to the table without having to dirty a glass. The bnto blows my mind! I already make my own mixes in mason jars, but sometimes I have to use more than one jar because the ingredients shouldn’t be combined until ready to make. The bnto would help me be much more organized! I love reuseable drinking vessels and am trying to decrease the plastic in my life. I’m a teacher and would also show this to my students!! I would love a Cuppow lid to use as sippy cups for my kids. The BNTO would be great for peanut butter for my kids to dip pretzels on a picnic. I’d use a Cuppow lid for green smoothies on the go. Straws get yucky stuff dried inside & I don’t like the possibility of dumping it into myself without some kind of kid or straw. The BNTO would be great for my lunch salads & dressing, or work snacks. Thanks! I have a lot of jars that I use for canning and storing. These would be great to use for resealing when I only a portion of what I have opened. I already use a mason jar to drink out of, so I guess the Cuppow lid would just help me take it on the go with me!!! The BTNO would be great to pack all kinds of snacks and lunches for work- but I’m primarily thinking about my mixed berries and yogurt snack I’m addicted to! YUMMMMM! I would like to take my lunch to school using these products. I would love to use a BNTO with asparagus-sized canning jars! I love making more use of my canning jars. Cuppow helps me do this. Lunch in the office, of course! Those lids seem perfect for morning smoothies on the way to work! Perfect for packing lunch and snacks to take to the beach. These look fabulous! I bet they would work great to help prep for my upcoming hotel trip! Great idea for sack lunches & snacks, like apple slices & peanut butter, veggies & dip, yogurt & nuts or granola, fruit & yogurt, on and on. Nice and compact. I use a mason jar at my work to drink from. A good top on it would help protect my keyboard in case of spills! I make my own yogurt, my own plum jam from the tree in the yard, combine with milk(no cow or goat yet!) and make drinkable yogurt, which goes into mason jars now but just as storage to be pored into a cup at work for breakfast. Imagine how jealous the bus riding public will be when they see me sipping right from the jar on a moving bus. Everyone will ask and I will tell them where I got it! I’d use a BNTO for snack-packs –veg and pesto, dried fruits and nuts, etc. I’m picky about texture, so keeping everything separate is great! Not exactly sure what I’d use these for, but anything jar related seems to find a use around this abode! Drinking vessels for summer drinks is fairly obvious, as is take alongs for snacking while traveling. But, some hobby storage might happen, too. What a sheltered life I have led! I’ve never heard of such a thing before (got here thru a convoluted path starting out at Leite’s Culinaria with pickled onions & carrots!). What a marvelous idea. I’d be packing my hubby’s lunch with salads & dressing separate in the BNTO. Thanks for introducing me to such a thing. I’ve been making yogurt (using your recipe) and I would use for yogurt and homemade granola to sprinkle on top. I’d love a cuppow to replace my always leaking travel mugs. And the BNTO would make salad transportation even easier. The lid would be great for bringing drinks to my community garden plot. I like to take my iced coffee down there in the summer mornings. The bento would be great to hold a dill dip (mayo, sour cream with beau monde and dill spices) and put carrots and celery in the lower part of the jar. Or even celery in the bottom and cream cheese in the cup. Yum. I have a long commute from CT to NYC and spend a lot of time in the car an on the train. I would love to use the lid to bring infused waters with me! I use a 12 oz jar without a lid for iced tea on the go. It would be much safer with a lid! I suspect i would use my extra canning jars for leftovers quite often. These are fabulous! Thanks for the chance. I’d love to use the bnto for my work lunch – granolls would work great in the bnto with yogurt on the bottom! I hate soggy granola.